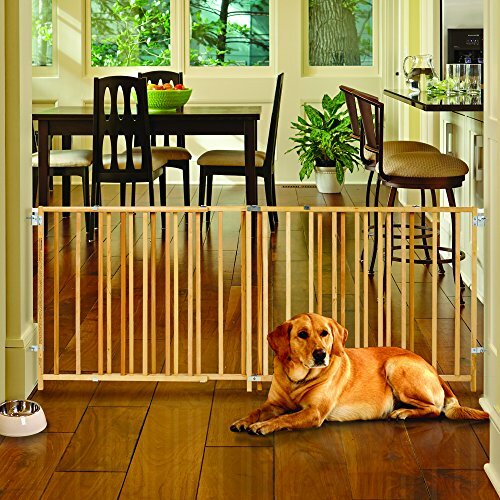 The Extra-Wide Swing Gate is specially designed for those extra-wide openings in your home. 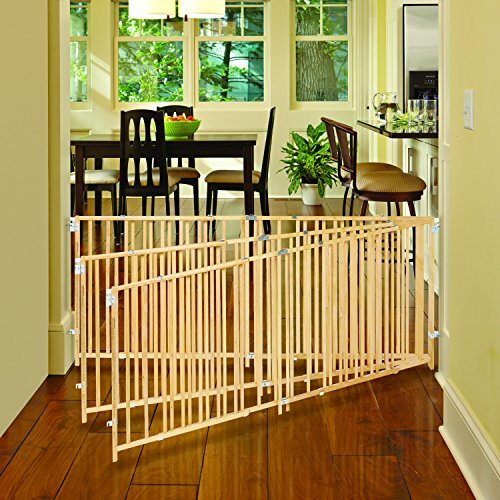 Adjusts to fit openings 60" to 103" wide and is 27" high, this baby gate is ideal to keep your child safe and secure. Avoid trip hazards with a safety gate that swings open fully - no threshold bar to step over. Combined with an easy, one-hand operation, getting in and out is nearly effortless. 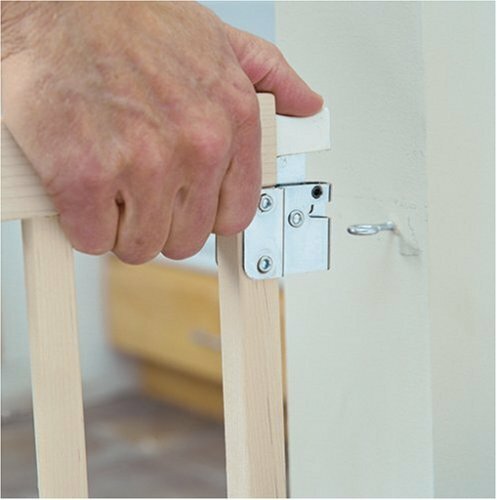 This child gate easily hardware mounts for added stability - all mounting hardware and brackets are included. When not in use, simply remove the gate from the hardware mounting brackets - it's that easy.